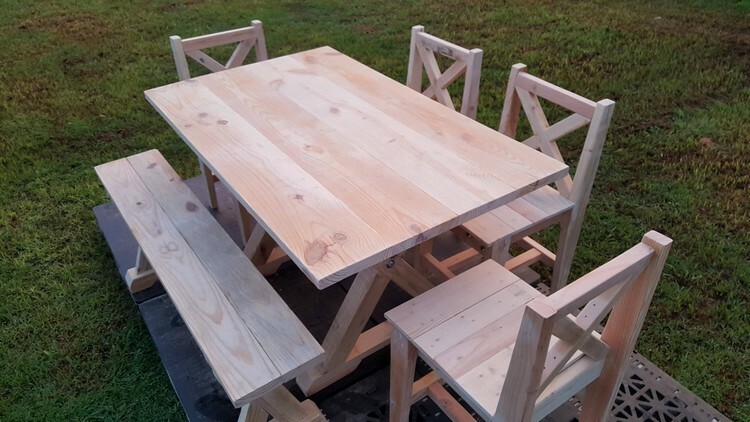 Ok, this is high time for making some beautiful wood pallet furniture items especially for your garden. I know many of you guys are excited to hear about this. 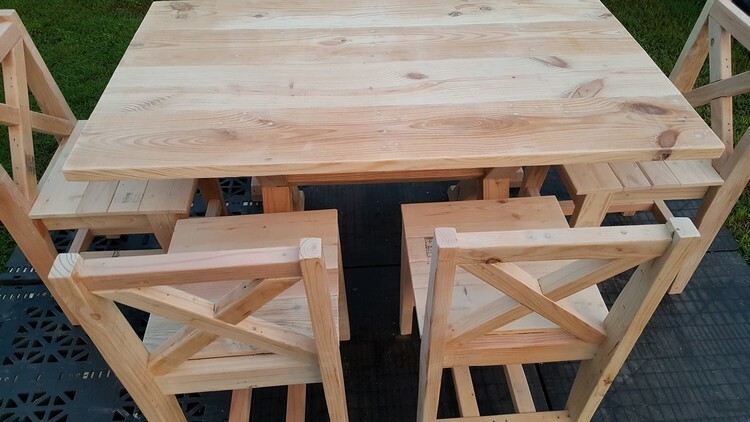 The wooden furniture item that is meant and designed to be placed in the green landscape. Initially we thought to make some conventional wooden couches for the garden along with decent coffee tables, then we changed the mind and thought to go casual. 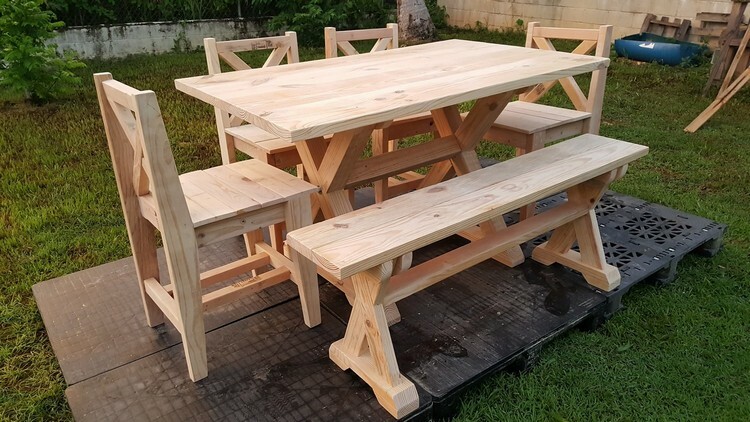 So finally we decided to make this beautiful furniture range which includes a large wooden table, a couple of beautiful wooden chairs, and a beautiful bench which is especially known for outdoor spaces. We would start discussion from the quality of the shipping pallets that we have used in here. Well, we can clearly see that some very high quality shipping pallets are used in making this furniture range. And the minor flaws were out casted with the skill and expertise. Now have a distant look of the garden furniture range. 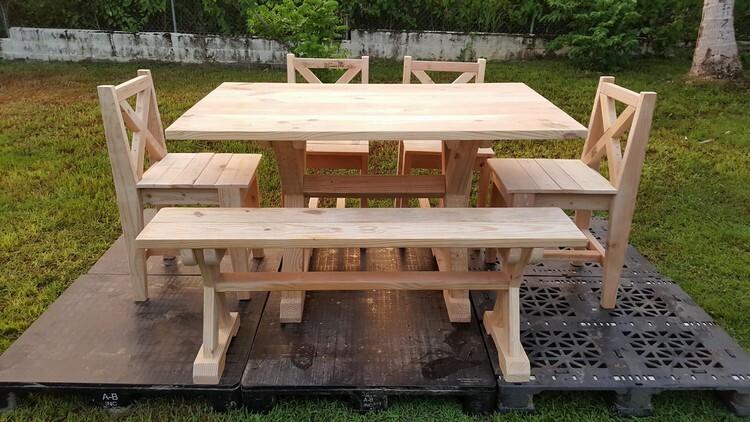 Before placing this elegant wooden pallet furniture in the ground, we created a wooden deck here. And then we placed it on the specified area so that marks and stains are avoided. 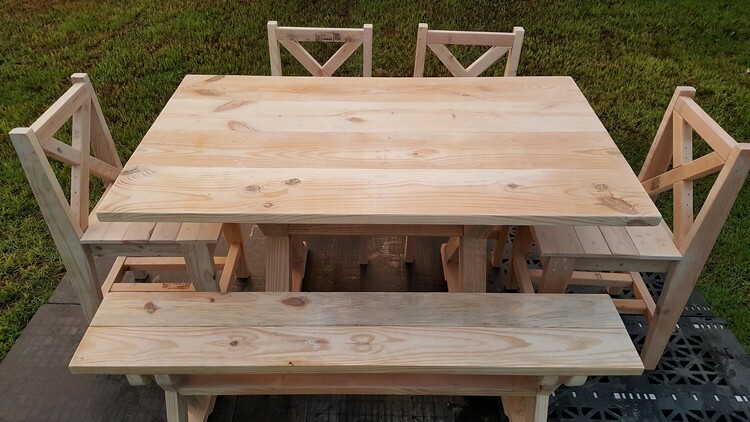 Now we have seen it from every angle, the length of the wooden table suggests that this can ideally be used for serving the food meaning as an ideal dining table. The height of the table is kept pretty high from the chairs and bench, so this adds ease as the dining table. 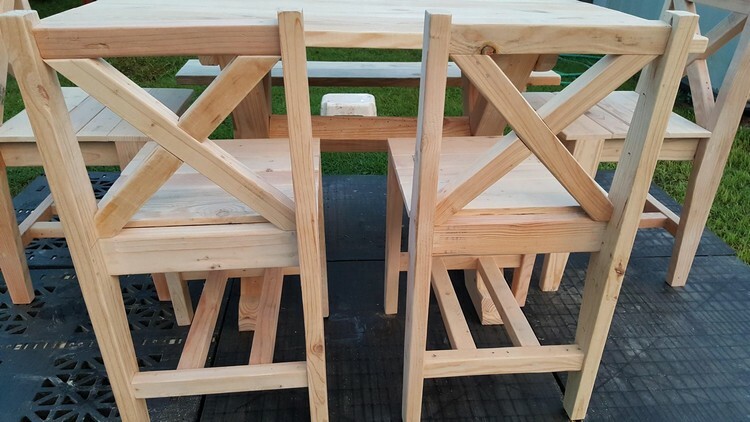 Have a closer look of the wooden pallet repurposed chairs. They are made yet again in the simplest manner. We just avoided any additional fashions and charms to be added in the chairs. Although the durability of the chairs is ensured from every aspect, base, sitting space and the bottom all are made quite durable. Now have a bit of discussion on the bench. This long and smooth textured bench is something that is closely affiliated with the outdoor spaces always. 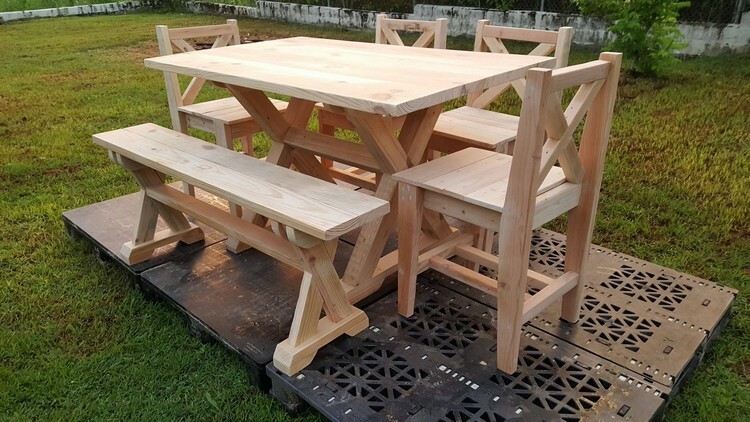 This is a kind of furniture that comes very first in the mind when we talk about some outdoor furniture items. And final word about this elegant wooden furniture range is that we left it unstained deliberately, for us this is a manipulation with the colors, and also with the intention to leave this matter upto you guys so that you could paint it according to your choice and favorite color.